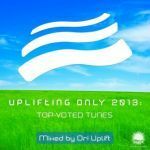 Ronny K is considered by many to be a rising star of uplifting trance, with many productions supported by the biggest names in the business, and his show on one of the biggest trance radio stations has a huge following - in fact it is the most listened to show! Ronny has had a number of high profile gigs, including the legendary Ministry Of Sound, and he recently rocked Luminosity Beach Festival, along with 43 other stars of the trance world. In 2008 he launched his Trance4nations show on Afterhours FM which went on to become the most popular show. A proud moment came when Ronny had his track Morning light selected as the anthem for one of the biggest events in the history of EDM radio broadcasts - the AH.FM EOYC. His track Seashore was also signed by Magic Island/Armada. 2011 saw continued support of Ronny's productions, as well as the tracks signed to his Motiv8 Recordings label, which launched on the first of August. Ronny also played his first set in The Netherlands. 2012 is shaping up to be another great year, with more high quality uplifting productions coming from his label, and the man himself, including his reinterpretation of Samuel Barber's Adagio For Strings, which aired for the first time at Luminosity Beach Festival.